SimiSodaPop | A Refreshment Of Bubbly Gossip! | Beauty, Fashion, Food and Entertainment: CONTEST/GIVEAWAY- Mistletoe Christmas Kisses Jingle! Goody Gift Bag 2011! 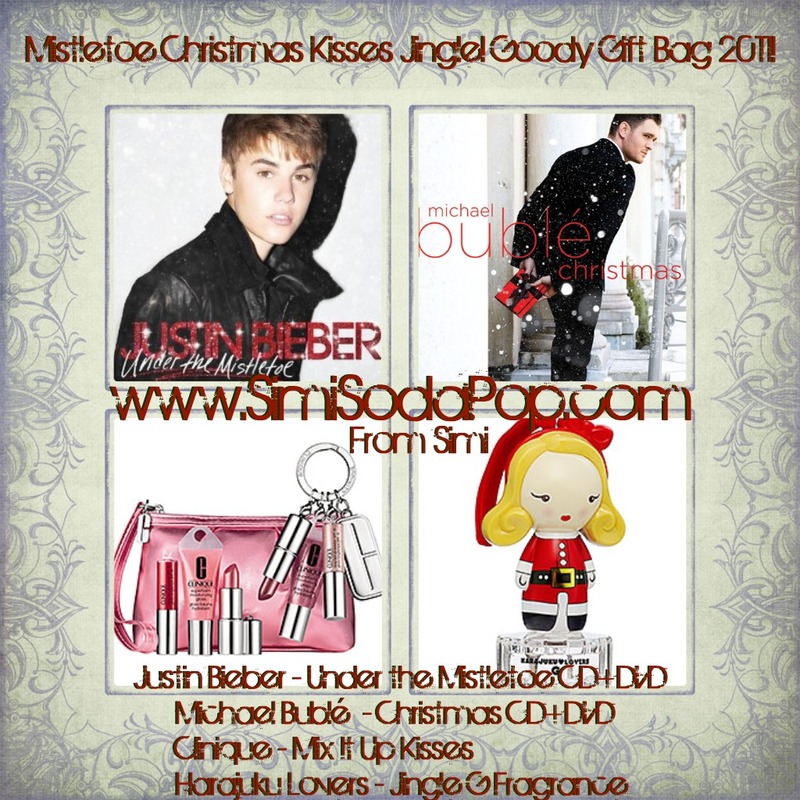 CONTEST/GIVEAWAY- Mistletoe Christmas Kisses Jingle! Goody Gift Bag 2011! Mistletoe Christmas Kisses Jingle! Goody Gift Bag 2011! I thought of this month's prize to be filled with some of my newest and most favorite holiday items. "Mistletoe Christmas Kisses Jingle! Goody Gift Bag 2011!"